1. For companies, non-citizens and non-PR holders, Real Property Gains Tax (RPGT) will be increased from 5% to 10%. For citizens and those with PR, real property gains tax will be increased form 0% to 5%. 2. Stamp duties for property transfers worth more than RM1mil will be raised by 1 percentage point from 3% to 4%. 3. Government to spend RM1.5bil on affordable housing. To help those earning no more than RM2,300, a fund will be set up by Bank Negara for homes up to RM150,000 at interest rate of 3.5% through selected banks. 4. Real Estate and Housing Developers’ Association Malaysia (Rehda) agrees to reduce house prices as much as 10% for houses which are not subject to price control for new projects. 5. RM1.5bil to build and complete affordable homes under the People’s Housing Programme, Civil Servants Housing Project, PR1MA, and Syarikat Perumahan Nasional Bhd. * RM1bil fund to be set up by the Central Bank of Malaysia (BNM) for those earning under RM2,300 per month to buy affordable houses priced at RM150,000 and below. * The fund will be made available for two years or until the fund is depleted through AmBank, CIMB Bank, Maybank, RHB Bank and BSN at an interest as low as 3.5%. 6. RM25mil will be allocated to Cagamas Berhad to prepare a mortgage guarantee (jaminan pajak gadai) to ensure that first time house buyers with a household income of up to RM5,000 will receive a higher financing, including for their deposit. This is expected to lower the cost between 7% and 11% for buyers, apart from the discounts given by developers. 7. Stamp duty exemption for the first RM300,000 on the property transfer letter (surat cara pindah milik) and loan agreement for first time house buyers purchasing a house priced at a maximum of RM500,000 for two years until December 2020. 8. Financing under the Public Sector Home Financing Board (LPPSA) will be extended from 30 years to 35 years for first-time financing and 25 years to 30 years for second financing (pembiayaan kedua). 9. RM400 mil will be allocated to improve the living quarters of civil servants such as police and military personnel and teachers. 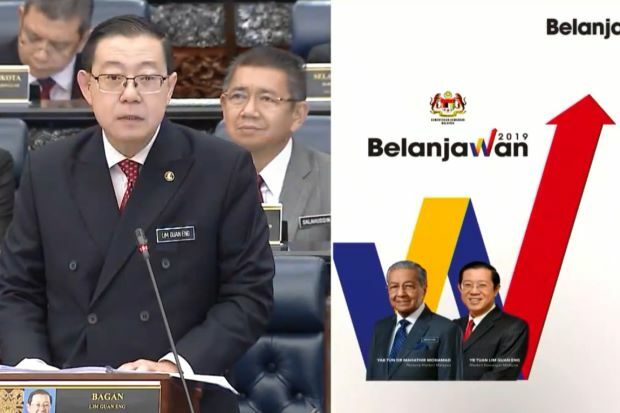 * Government is suggesting on an exemption of stamp duty on property transfer letter for first house purchase for houses priced between RM300,001 and RM1mil for the period of six months starting from Jan 1, 2019.- This will be part of the National House Ownership Campaign, of which developers have agreed to give a 10% discount to houses under existing projects. 10. Property crowdfunding platform will be allowed, which will be headed by the private sector. Overseen by the Securities Commission, it will allow house buyers to use peer-to-peer lending to finance their purchase.